Presentation slide introducing the Action Research for Technology Integration tool. 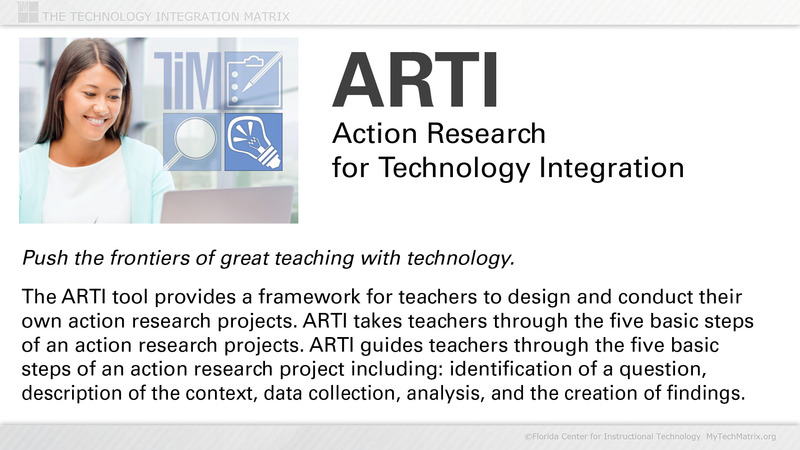 The ARTI tool provides a framework for teachers to design and conduct their own action research projects. The technology integration action research tool is one component of the TIM Tools suite. Available in two formats. The standard (4:3) slide format is immediately below. Scroll down for the wide (16:9) format at bottom of this page. Push the frontiers of great teaching with technology. 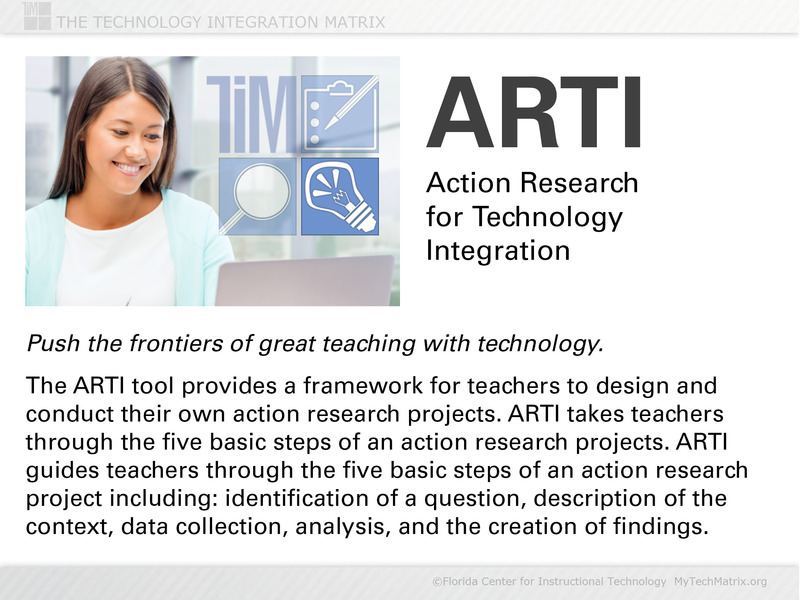 The ARTI tool provides a framework for teachers to design and conduct their own action research projects. ARTI takes teachers through the five basic steps of an action research projects. ARTI guides teachers through the five basic steps of an action research project including: identification of a question, description of the context, data collection, analysis, and the creation of findings.